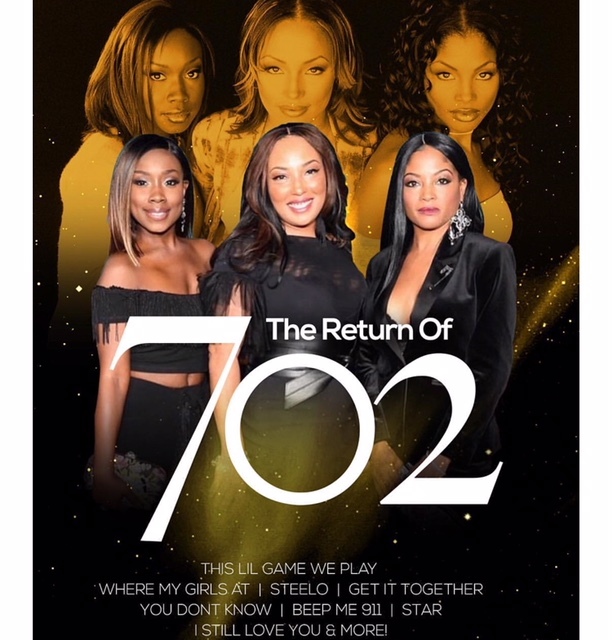 Chart-topping 90s girl group 702 has announced plans for their reunion and tour. The group, which consists of lead singer, Kameelah Williams and sisters Irish Grinstead and LeMisha Fields, released a statement to BET to express their excitement for their reunion and tour. The group brought us hits such as “Where My Girls At?” “Steelo,” “Get It Together,” and “All I Want” in the 90s. The group went their separate ways after the release of their third album, STAR. The crew reunited during the 2017 Soul Train Awards and here we are today! 702 has not yet released any official tour dates. Posted on April 18, 2018, in ENTERTAINMENT NEWS. Bookmark the permalink. Leave a comment.